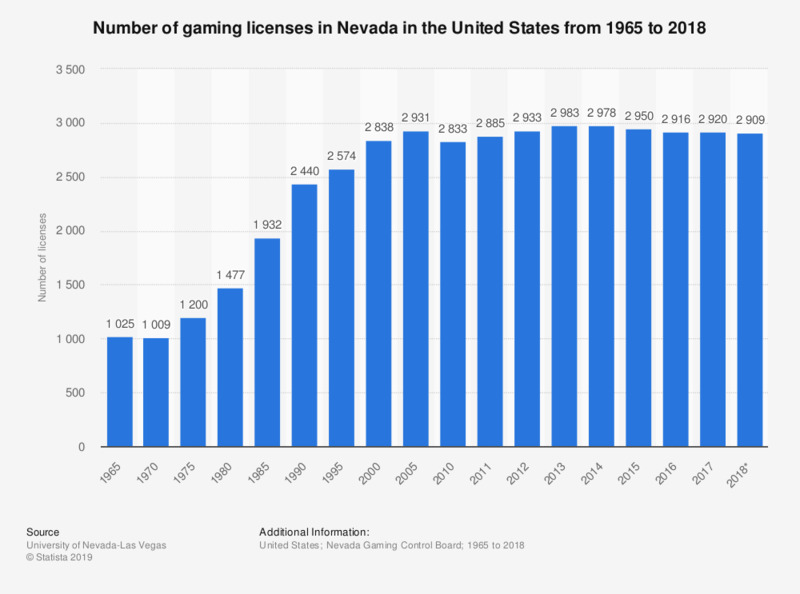 This statistic shows the number of gaming licenses in Nevada in the United States from 1965 to 2018. There were 2,920 gaming licenses held in the state of Nevada in 2017, about four more than the previous year. Licenses includes restricted slots only, non-restricted slots only, slot operators, & non-restricted slots and games from 1963 to 1983; from 1983 onward, also includes manufacturers, distributors, and slot route operators.